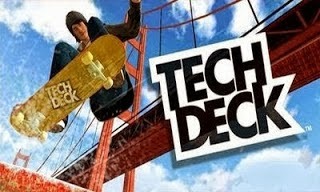 Watch classic Tech Deck fingerboards spring to life in this free HD quality skateboarding game with world class animations. Finger taps and slides (not tilt) give your character the power to dodge objects, grind rails, pull off awesome combos, and compete against the local wannabes. 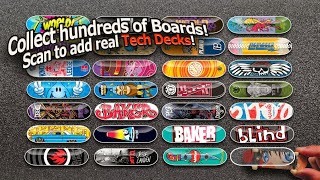 Vuforia technology enables you to unlock skateboards by scanning your real Tech Decks directly into the game, or earn them by competing in an array of exciting challenges. Level up to earn gold, or if short on time, buy it to get genuine licensed decks, gear, and other stuff. Want the best skate experience on your mobile device? 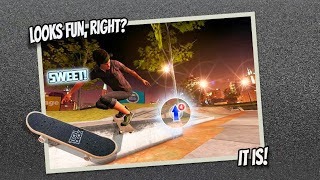 Have nostalgia for a skate game--not baseball, football, and golf that dominate sports games? You are in the right place. Be the next great pro skateboarder hero! 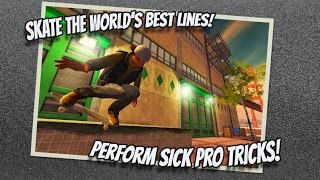 Awesome graphics and smooth animations put this skateboarding game in a league of its own. Skate and beat the world’s best runs in a variety of stunning locations. Download the quality of experience you want to play, from light to HD. It’s all free.